Alpine Country Club is an ideal setting for a wedding, pool-side function or special occasion. Alpine Country Club has been the backdrop for thousands of elegant, sophisticated and successful events. Our experienced staff is committed to working with you right from the beginning to assist you in hosting the event of your dreams. Alpine can accommodate a wide range of special events including wedding receptions, wedding ceremonies, graduation parties, birthday parties, showers, bachelor parties, anniversary parties, bah mitzvahs, school events, business meetings, trade shows, conferences and more… We cater to a full range of clients. We have several locations within the club to accommodate special events. 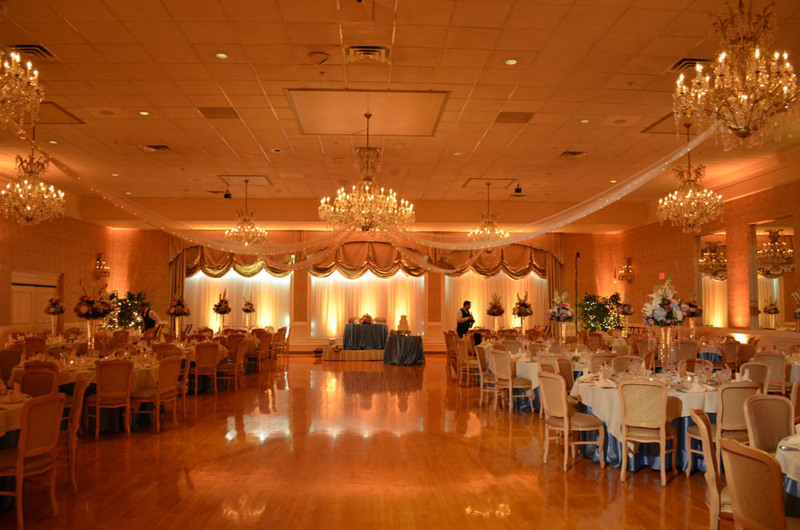 Alpine can accommodate up to 276 guests in the Grand Ballroom for a wedding reception; other rooms are available for more intimate occasions. The Grand Ballroom is adjacent to the Cocktail Lounge, which opens up to the Grand Ballroom and is completely separate from the rest of the club. The cocktail lounge is very spacious, with ample seating for up to 90 people. There is even a bridal suite located right off the ballroom where the bride can change during the reception. Other locations available within the club are the Tyrolean Room, the Alpine Room, the Grille Room, and pool side for outdoor events or patio side, which is off the Alpine and Grille rooms. All event locations can be accessed from covered carport dropoff areas and the outdoor areas also have covered seating areas.